Last week we asked, “When FOMO?”, spurred on by a crypto market where Bitcoin was trying to consolidate its position above the key $4,000 level, while also having to deal with expiring futures and options contracts. In particular, as we pointed out, decent size was noted at 3500 strike (puts). For those that are yet to be convinced of the importance that the derivatives market has on the underlying, it is worth pointing out that last Friday was another record day for Deribit with more than $40mln BTC options traded. Still, looking to the future (June options), there are early indications that the market is turning more bullish, with plenty of interest noted at 6,000 strike (calls) where there is already OI of 2342.9 (delta 0.23). Looking elsewhere, Tether (USDT) has experienced its highest daily volume since first being issued in 2015. 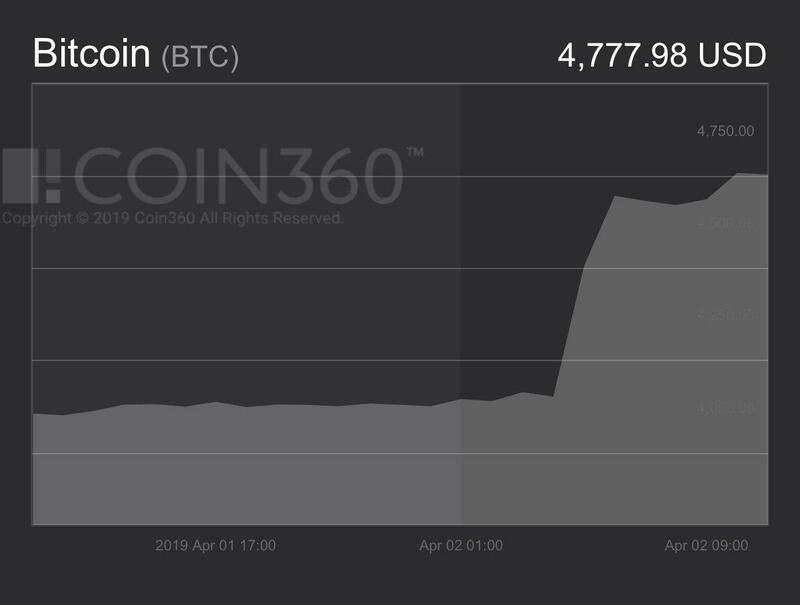 According to a Cointelegraph report on March 31, 2019, there were 38,150 USDT transactions processed. As a reminder, Tether Limited updated its website to clarify how its reserves are made up. The company now claims that each USDT coin is backed by "reserves, which include traditional currency and cash equivalents and, from time to time, other assets and receivables from loans made by Tether to third parties." Finally, something to ponder…when Bitcoin futures were launched back in Dec'2017, the influx of hot money saw the price rocket all the way to $20,000 but what is more interesting is that the futures curve was trading in contango. Since then, the curve has evolved and is generally trading in backwardation. However, the Ethereum futures curve has been trading in contango for a long time and many argue that this is because of oversupply. Could it be that the natural state of the Bitcoin & Ethereum curves is a contango? As opposed to Keynes’ long-standing theory that backwardation is a natural state of commodity markets.